A Kickstarter campaign to fund a bladeless razor that removes hair using lasers, which has so far raised $4 million, has been suspended by the crowdfunding platform because it didn't meet prototype requirements. 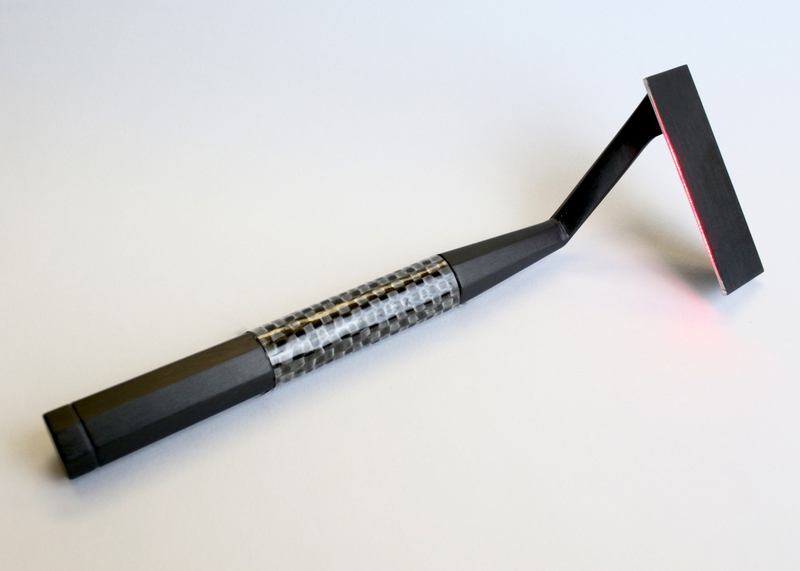 The Skarp razor promised to replace the standard blade with a laser that "melts through" the hair shaft, rather than cutting it at an angle, as with traditional razors. Over 20,000 backers had supported the project, which amassed $4 million (£2.6 million) in pledges and received coverage from various international news outlets. But despite having built a prototype, and apparently making preliminary agreements with manufacturers, the project's founders Skarp Technologies failed to meet Kickstarter's strict requirements for working prototypes. Kickstarter means that "big brands are at a disadvantage"
Although a video hosted on the project's Kickstarter page showed a razor in use, it allegedly struggled to fulfil the founders' promises of an "incredibly close shave". Skarp attributed its poor performance to lack of quality materials – an issue that would be resolved once the product entered mass production and could be made with "high performance" components. "Many have asked us to show a closer shave with the prototype shaver, and we would love to, but can't," the company said in a statement. "The prototype in the demo video can't cut much closer because the hand-made fibre in the prototype breaks when lightly bouncing it off the skin. It's made of glass and is very thin. It also can't be mounted with the necessary support to prevent that," they elaborated. Skarp also acknowledged that because of the size of the razor's micro components, there would be "un-known levels of fine tuning required for automated production in high volume". Despite the company's reassurances, project backers received an email from Kickstarter that explained the razor was "in violation of our rule requiring working prototypes of physical products that are offered as rewards". New regulations introduced by the fundraising platform in 2012 require creators to communicate risks and challenges of projects clearly, and prohibit "product simulations". "Projects cannot simulate events to demonstrate what a product might do in the future. Products can only be shown performing actions that they’re able to perform in their current state of development," explained Kickstarter in a statement. Skarp positioned the razor as an alternative that would not only save users irritation, but also reduce environmental impact – reporting that the US alone throws out two billion razors a year, many of which end up on landfill sites. The laser apparently relied on chromophores – molecules in the hair that absorb a particular wavelength, and are shared by everyone regardless of age or hair colour. Although the Kickstarter campaign has been suspended, Skarp has since launched another campaign on rival platform Indiegogo that, at the time of writing, had raised over $200,000 (£130,000). Kickstarter has risen in popularity to become a platform for funding projects that range from products by start-ups to high-profile architecture projects. Artist Olafur Eliasson used platform to raise money for a solar-powered phone charger, while architect Bjarke Ingels gained support for the development of a power plant chimney that would blow smoke rings. In an interview with Dezeen last year, CEO Yancey Strickler explained how Kickstarter has changed the way designers get their products to market.